It is from the "San Blas Islands off Panama. Displayed will be 40 molas — colorful panels of reversed embroidery applied to blouses worn by the women of the Cuna tribe....Molas are derived from the older cultural practice of body painting. 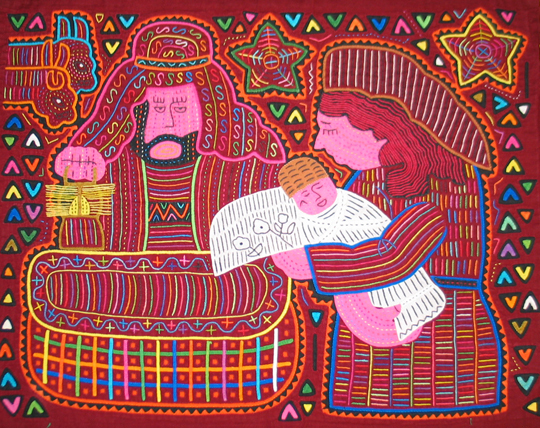 After Spanish colonization and contact with missionaries, the Cuna started to transfer their traditional geometric designs to fabric, first by painting directly on the fabric and later by using the technique of reverse application."